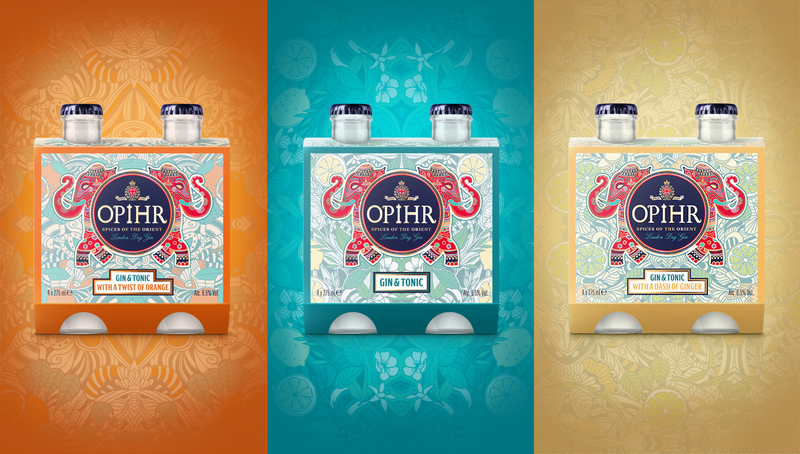 Identica were challenged to create a range of RTDs for Opihr to make it easy for consumers to bring Opihr with them on their adventures. Our intention was for the range of 3 to be very closely linked to the core brand so consumers could pick brand first and foremost. 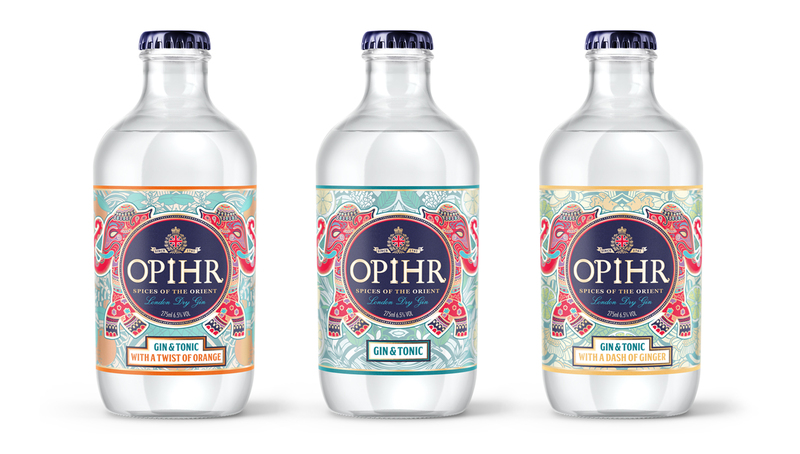 We therefore chose a bottle with a similar silhouette, although obviously at a smaller size. At a secondary level we wanted for them to discover the interesting flavours behind the cocktails so they could enjoy choosing between these. 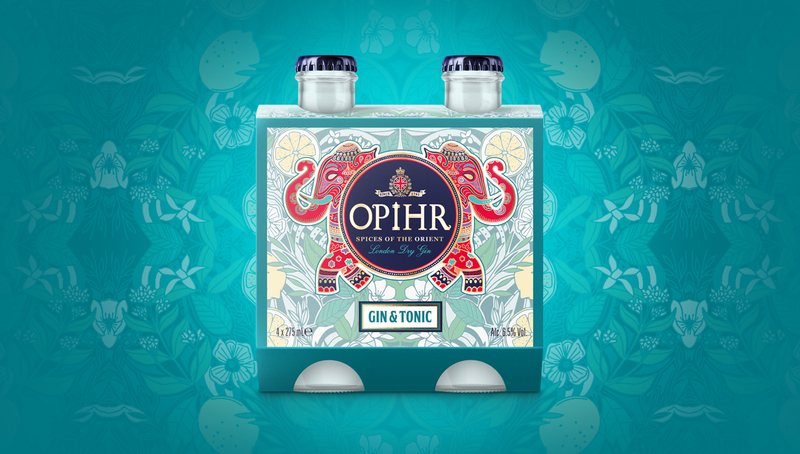 We commissioned an illustrator to create bespoke patterns of the fruit and botanical ingredients that work in a kaleidoscopic illustration behind the Opihr brand roundel and elephants, these are coloured to be specific to the different flavours to allow easy navigation. The blue twist off caps add to the on-the-go convenience, but without compromising style or sophistication. Each RTD is a super-premium, miniature expression of the brand, rather than a compromise to meet convenience requirements.